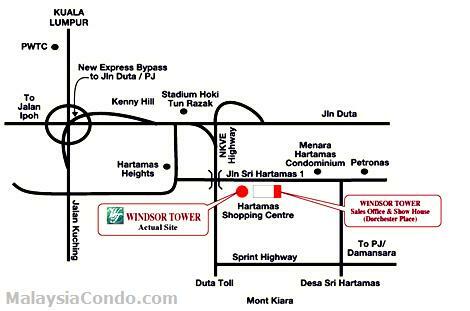 Windsor Tower Service Apartment is located at Sri Hartamas, Kuala Lumpur, with both commercial and residential element within the vicinity. 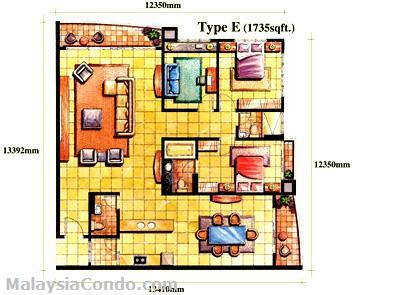 Comprises 446 service apartments in a 28-storey tower, each apartment has unit size ranges from 500 to 1,735 sq.ft. The facilities include swimming pool, wading pool, jacuzzi, pool deck, spa pool, sauna, activity room, gymnasiums, games room, nursery, cafeteria, aquatic garden, children's playground, BBQ pit, business center, squash court. 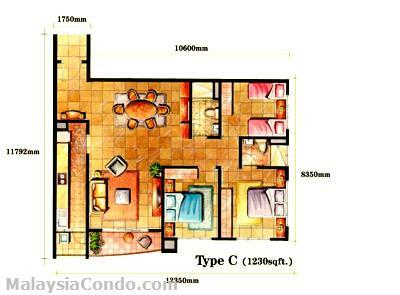 Built-up Area : 500 - 1,735 sq.ft.